Hit musical Fame wants to live forever it seems as a sequel to the show is currently in production with a West End transfer and UK tour planned. David de Silva, who conceived the original idea for Fame The Musical and produced the movie adaptation, is behind the production of the sequel. “I was inspired by Mildred Cram’s novella Forever (1935). Her story’s theme is that we never really die. I had the idea to bring the character of Carmen, who died of a drug overdose at 18, back to life so that she learns what happened to her and how the world has passed her by” he explains. 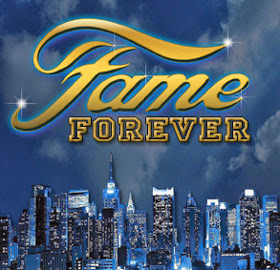 Set 20 years later than the initial production, Fame Forever follows up on the lives of the characters from the original show with the character of Carmen Diaz, who dies in Fame, appearing as a spirit. De Silva reunites with Steve Margoshes and Ben H Winters who produced the music and lyrics for the original production respectively. The show will play at the Lyric Theatre in September before embarking on a nationwide tour throughout 2015 and 2016.